The game sees players working alongside the actor to eliminate terrorists. Free-to-play game developer and publisher Glu Mobile has announced the release of Sniper X with Jason Statham on mobile devices. The game features actor Jason Statham’s voice and likeness, and allows players to complete missions as part of Statham’s paramilitary team SPEAR. In Sniper X, players work alongside Statham to eliminate terrorists and other threats in hundreds of missions. 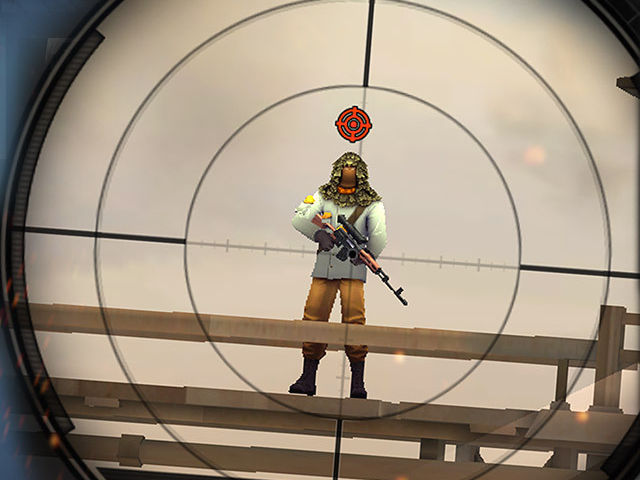 During sniping missions, players use a dial to zoom in on each enemy, and can trigger ‘focus’ power-ups to slow down time before taking a shot. In these missions, players are required to eliminate one or more specific enemy units, and can pick these out from the rest by focusing their view on each soldier for a short time. Gamers earn bonus cash for completing special shots like skills shots. In addition to sniping missions, players will have access to missions requiring weapons like shotguns and assault rifles. While sniping missions focus on taking out specific enemy units, shotgun missions ask users to eliminate enemies in bulk, and so on. Missions are timed, challenging players to complete their objective before time runs out. As gamers progress, they can purchase new weapons with cash or Gold, the game’s premium currency. Players earn cash as they complete objectives, and must spend this cash on upgrades for their weapons in order to meet each mission’s weapon requirement. As weapons are upgraded, players can increase things like their ammo capacity or reload speed, as examples. Extra training missions are available outside of the main campaign, allowing players to earn extra cash for these upgrades. Missions (including training missions) require energy to begin, which limits the number of missions players can complete in a single gameplay session. This energy recharges automatically over time, or players can purchase energy with Gold. Players also have the option to watch a video ad for free energy. As Glu’s first male celebrity partner, Jason Statham’s over 55 million social followers add a new demographic to the company’s celebrity gaming platform. Mr. Statham’s creative input throughout the game’s development has ensured a unique and authentic action-adventure experience his fans will enjoy worldwide. Statham’s follower count was determined by combining the actor’s Facebook fans and Instagram followers. Statham is one of many celebrities who have worked with Glu on mobile titles, as Britney Spears, Nicki Minaj, Katy Perry and Kendall and Kylie Jenner also have upcoming games in the works. Glu released another celebrity game, Kim Kardashian: Hollywood, in summer 2014. Sniper X with Jason Statham is available to download for free on the iTunes App Store and Google Play.